Exactly that's what I feel when I wore SBN initials around my neck. Its so special to me and I feel wonderful to be with loved and be with my love wherever I am. 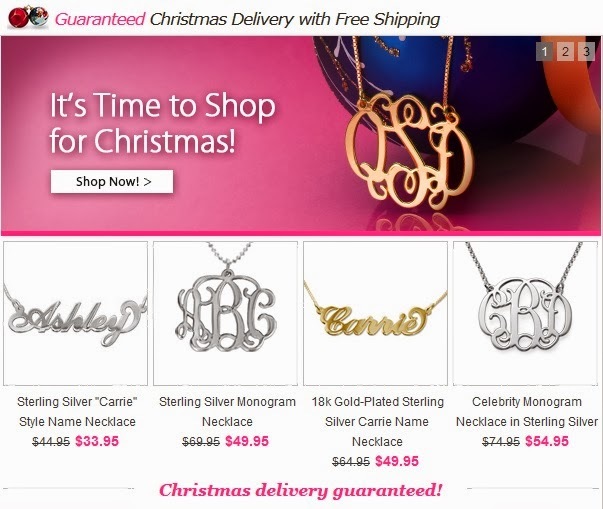 MyNameNecklace specializes in selling a high-end selection of hand-made name necklaces, bracelets, rings, Monogram Necklaces and personalized jewelry. They are dedicated to providing the finest quality products at the best prices accompanied with excellent customer support in a secure online environment. I was pleased by their hand-picked selection of jewelry products, as well as by commitment to service, quality, and price.